sport | Who is John Galt? Yesterday’s admission by Danish bicyclist Michael Rasmussen that he had been using doping throughout most of his professional career came as a shock to anyone who has kept their eyes tightly shut and held their ears whenever the discussion touched bicycling and doping. Michael Rasmussen, whose nickname is “Kyllingen” – “The Chicken”, finally stopped living up to that nickname and publicly admitted what everybody must have suspected for years: That he had used just about every kind of doping in existence from 1998 until 2010. He was, he said, “clean” from the time he joined his present team. 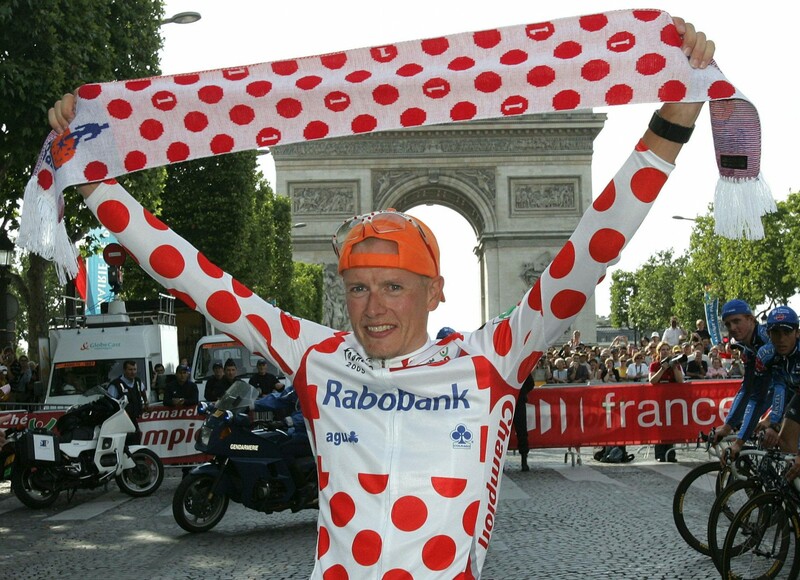 Rasmussen’s best results were the world championship in mountainbiking in 1999 and winning the polka-dot jersey as “King of the Mountains” in the Tour de France in 2005 and 2006. In 2007 he was leading the Tour after a spectacular victory in the 16th stage when he was pulled from the race by his own team Rabobank under suspicions of having given false information about his “whereabouts” to the doping authorities. These allegations were later proven correct – Rasmussen had told the authorities that he would prepare for that year’s Tour in Mexico but instead went to Italy. Thus the doping authorities failed to find him when they came for “Out-of-competition tests” and he wasn’t tested positive. Instead of winning the Tour de France 2007, Rasmussen was given a two-year suspension which effectively ended his career as a top rider. He came back in 2009 and rode for smaller teams before helping to found the Christina Watches-Onfone team for which he rode until yesterday. His admission will cost him another two-year suspension which would normally be much longer, except for his willingness to cooperate with the authorities to identify dealers of doping, other riders who have been cheating, etc. Ironically, Rasmussen’s exit from the 2007 Tour de France meant that the race was instead won by Alberto Contador of Spain, who later tested positive for Clanbuterol in 2009. The doping authorities didn’t accept his explanation that it must have come from a contaminated beefsteak and suspended him for two years. Michael Rasmussen plans to work as a salesman for Christina Watches for the next two years before returning to bicycling (though not as a rider; by that time he will be 41 years old). I am increasingly pessimistic about there being any bicycling sport for him to return to. Even if the sport manages to survive its own attempts at self-destruction, he may find himself less than welcome. I must admit that I was a bit nervous before the final on Sunday in the handball world championships for men. The Danish team had won its first eight matches, including a spectacular win over the odds-on favorites from Croatia in the semifinal, and the entire Danish sports press more or less agreed that the final against the host nation, Spain, was a mere formality. Which was the cause of my unrest. Experience tells me that when the Danish sports press becomes too cocksure and assures its readers that victory is assured in advance, the team usually loses, whether it be the handball, football, baseball or for that matter wrestling team. Sometimes the team loses quite badly to the supposed “underdog”. However, nothing had prepared me for the team suffering the worst defeat in any world championship final ever. 35-19 to Spain, do the math. Denmark lost by 16 goals. The explanations and excuses were many, and predictable. Fact is, the team had a collective off-day which is sub-optimal in any situation, and especially in a final for the world championship. One reason may be that the coach, Ulrik Wilbek, was sick on the day and had to stay at the hotel. The team was the worst in the history of the world, and the coach was a disaster. The fact that he had been sick and couldn’t stand on the sideline was nothing short of high treason. The eight victories against Qatar, Russia, Chile, Iceland, F.Y.R Macedonia, Tunisia, Hungary, and Croatia were forgotten. The only match the journalists remembered was the last one. Which is typical of sports journalists. I think it would suit the sports press to remember two things: 1) No match, especially a world championship final, is won before it has been played, and 2) Before you can lose a final, you have to actually QUALIFY for it! Which the team did in a convincing way. It’s too easy to criticize someone for not going all the way and winning the gold medals, while “forgetting” that they did take silver. A Lance through the Heart of Bicycling? This week’s doping verdict against Lance Armstrong, former world champion and seven times winner of the Tour de France, might well turn out to be a death sentence to the bicycling sport as well. A bit of background: Lance Armstrong became a professional bicycle rider in 1992 and won the world championship in Norway in 1993. In 1996 he was diagnosed with testicular cancer but managed to overcome the disease and return to professional bike racing. He had become slimmer and, if anything, more fit and from 1999 to 2005 he won the Tour de France seven times in a row before announcing his retirement from the sport. He returned briefly to the sport in 2009-11. Which brings me to my first point: Lance Armstrong’s active career spanned some fifteen years. During those years he must have been tested for doping hundreds, if not thousands, of times. He has never tested positive. If he has used doping – which by now seems almost certain – he must have been very lucky, very clever in disguising his use of prohibited substances, or the doping authorities must have “mislaid” any positive tests Mr. Armstrong has given. Either way, the anti-doping campaign is a complete failure. He has systematically doped himself for almost a decade and gotten away with it, winning the world’s most prestigious race seven times in a row during those years. Now for something a little different: I remember the Tour de France in 1993 for one particular moment: When Bjarne Riis of Denmark took the fifth place on one of the hardest mountain stages. Riis, who until then had only been known as a solid “water carrier”, also ended fifth in the overall classification, until then the best result any Danish rider had ever achieved. But it was his climb to Isola 2000 along with some of the greatest stars of his time that signaled his breakthrough. Riis would go on to end third in 1995 before winning the Tour in 1996; generally regarded as one of the greatest achievements in Danish sports history, before moving on to found his own team, the Team CSC (now Team Saxo Bank-Tinkoff Bank). I think nobody was very surprised. 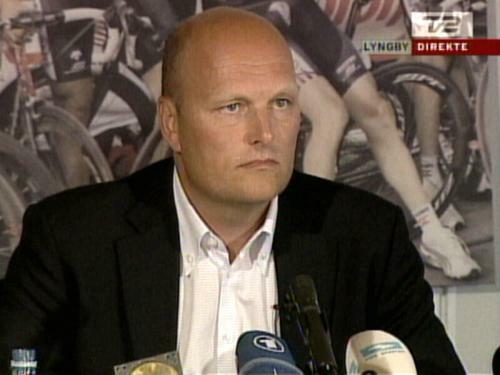 Riis sensed that he would be extremely “Persona Non Grata” in that year’s Tour de Farce France and left to his second-in-command, Kim Andersen, to manage his team in the Tour. Rasmussen was immediately pulled from the race and suspended by his team Rabobank, and the later winner, Alberto Contador of Spain, lamented the “rotten culture” amongst the old riders from the 1990s, indicating that younger riders were better behaved. It is understandable that the Tour authorities didn’t want a cheater to win the Tour that year. The year before, in 2006, Floyd Landis had won the Tour, only to test positive for Testosterone and be stripped of his title. And the ASO, the organization that arranges the Tour, certainly didn’t want a cheating Dane to win one month after Bjarne Riis had admitted to using EPO the year he won! Five or ten years ago, bicycling was a mess and everybody was doped! But NOW we have things under control, young riders know better than to dope themselves, and those few who do are certain to be caught. See, we just caught another one! This proves the system works! Five more years, and doping will be a thing of the past.